Are you looking for a vision center in or around Middleton, MA? Visiting the experienced opticians at Parrelli Optical for treatments and preventative care can help you keep your eyesight sharp. It is important for everyone in the family to have a vision center to visit when eye care is needed. Routine exams and specialized treatments are designed to maintain the health of eyes. Eye exams can even be used to detect illnesses that affect the entire body. People who wear glasses or contacts should visit a vision center at least once per year because their eyes can change throughout the course of the year. 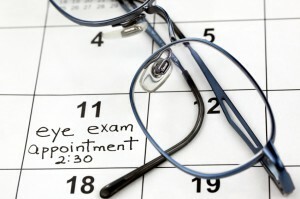 An eye exam determines whether a new prescription is needed. Routine exams can also help detect diabetes and high blood pressure. Diseases related to the eye are typically diagnosed at a vision center. Glaucoma, cataracts and macular degeneration can all be diagnosed and treated by an optician. Allowing these conditions to go untreated could result in impaired vision or even blindness. Specialized eye wear including prescription sunglasses and protective eye wear can be obtained at a vision center. Sunglasses help protect the eyes and eyelids from harmful UV rays. Vision may deteriorate faster when people go without sunglasses while spending time outdoors. Protective eye wear may be worn while a person is working or playing sports. Prescription protective eye wear allows a person to maintain corrected vision while keeping their eyes safe. Parrelli Optical is the right choice for you when you are looking for a vision center. There are many reasons for choosing Parrelli over the competition. Make Parrelli Optical your vision center in the Middleton, MA area by calling for an appointment today!